At it's core Kid Gloves is a heartwarming story with more than a few similarities to the Rocky films. If you don't know what the "Rocky" films are than I would recommend looking them up, and preparing for a great bunch of movies! As you may have guessed, we have a boxing film here and that's something that's not seen much in the Indie world. There also happens to be a story here. It's a good one. I can honestly say that if you can get past the first 15 minutes than you're in for a real treat. First 15 minutes you ask? Well yes. Kid Gloves is not a perfect film. The majority of faults however are on the technical side and mainly at the films beginning. It gets better. A lot better. As I wrote above, if you can make it through the first bit you're in for a well done and heartfelt film. If you're not left feeling some kind of emotion by the end... you're a Zombie. Let's dig into the technical flaws and start with the audio. Overall it's not that bad except at the very start of the film. Poorly mixed with changing sounds, changing tones and some funky audio transitions really pull you straight out of the film. One cut has a constant blowing wind and the very next cut, mid sentence the wind is suddenly gone. The first 15 minutes or so is full of issues like this and it's really hard to get into the movie. Then as suddenly as it started it seems to get better. As the film progresses the audio issues become less prominent and finally reach an acceptable level. You'll never mistake Kid Gloves for a studio film based on the audio... but in the end it turns out to be Okay. The Camera work is a mixed bag also as it swings from some really well composed shots, right over to the reality show specials we all know from various TV programs. I'm not sure if this was on purpose or not, but the end result actually adds to the film, giving it a true and gritty feel. Where this film really earns it's stars is in the writing and acting. 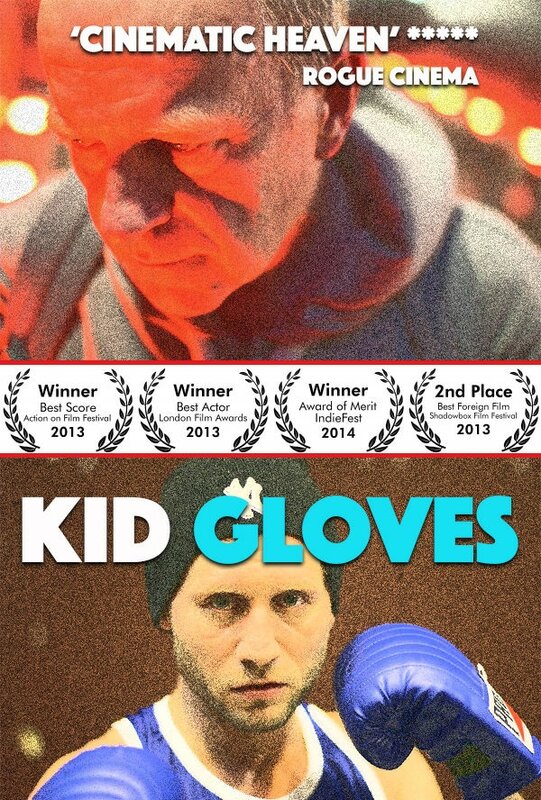 Kid Gloves is a well written story that is made all the better by a great cast. You get pulled in and feel for these characters, making the film so much more engaging. I think I can honestly say that without such skilled talent this film may have fallen flat. But that's not what happened now is it? With all the issues I've pointed out you may be asking how I still managed to score it so high? The answer is simple. There is a great movie here. You just need to get past the first few minutes. It's all here. Story, pacing and great acting. Everything one could want when watching a film! The reality is that Kid Gloves would have scored a perfect rating if the the small issues I've wrote about were solved. Easily. Is it worth the purchase or rental? For sure! Let me put it like this. You'll buy or rent the film. You'll start to watch. You'll question your purchase. You'll keep watching. You'll maybe get emotional and then you'll recommend it to your friends. Trust me here. There is some magic in Kid Gloves. So stop thinking so much and check out this film! Give it half a chance and you'll give yourself a few hours of solid Independent Magic. Links are on the left so go ahead and use them.